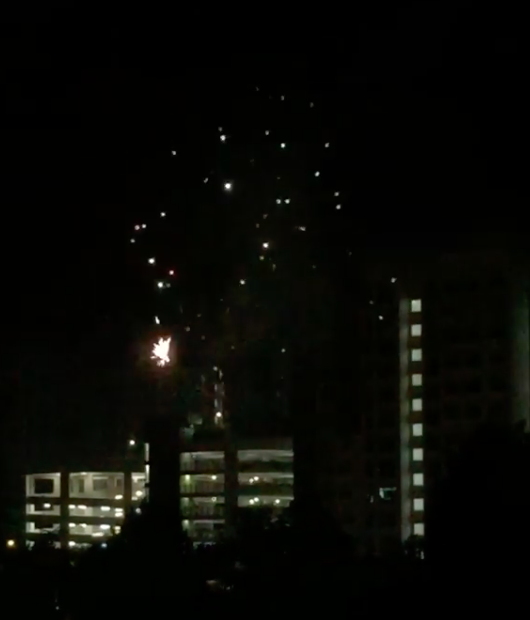 Someone—or some people—celebrated Deepavali at Yishun with fireworks very early on the morning of Wednesday, November 7. 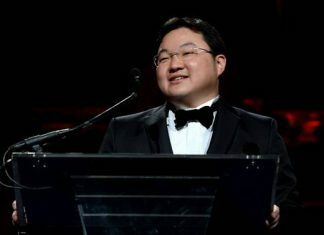 At around 3:30 am, netizens reported seeing fireworks set off, and even posted videos of the sparklers. Earlier in the day, fireworks had been lit at Race Course Road in Little India. Police rushing to the scene are spotted towards the end of videos posted. Two men, ages 48 and 29, have been arrested for the incident, since the possession and setting off of fireworks is illegal, and conviction can result in as much as two years jail time, caning, or a fine of S $2,000 to S$ 10,000, under the Dangerous Fireworks Act. Last year, three men who set off fireworks in Yishun were arrested. 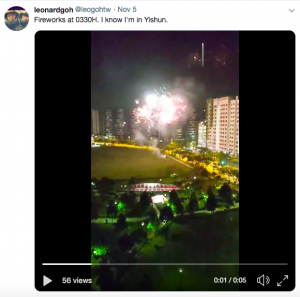 Netizens shared photos of the fireworks in Yishun early this morning, seemingly shocked and amused at once, with captions such as, “Fireworks at 0330H. 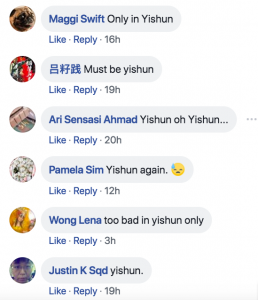 I know I’m in Yishun. @leogohtw” on Twitter and “3.27am #fireworks from my bedroom window. #HappyDeepavali#OnlyInYishun #OMGWhyLa#ThereGoesTheNeighbourhood” @fabreyas on Instagram. 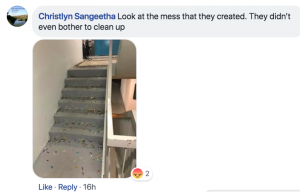 But one netizen complained that the people who set off the fireworks should have at leased cleaned up after themselves.